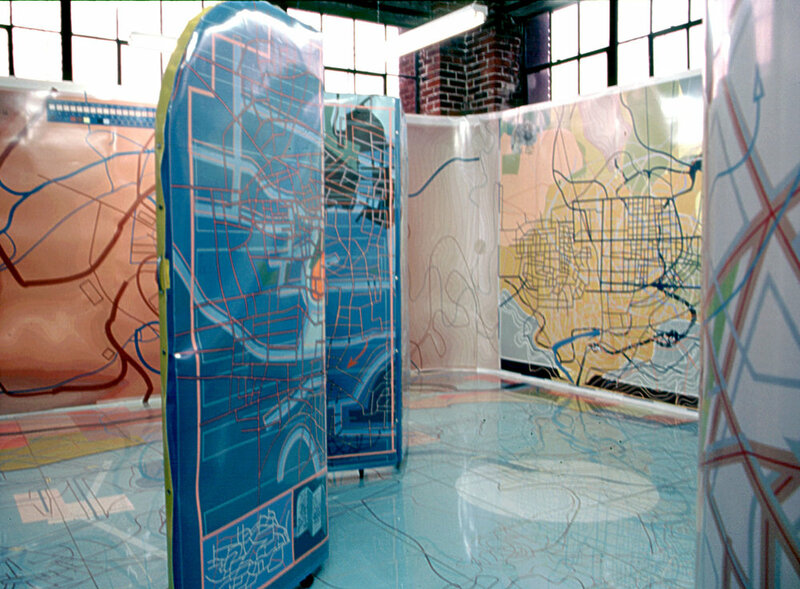 Installations created around fictional maps. 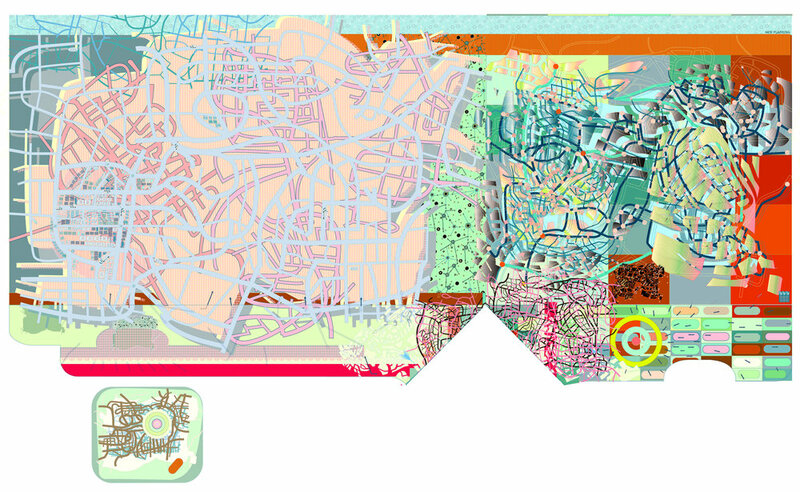 Concerted use of digital drawing software and inkjet printing, and often including screen- and digitally printed textiles, fluorescent lighting, and furniture fabricated for the particular installation. Back wall, looking through a portholes and the interior space then out the other porthole where the globe hangs. Don't Forget to Ask for Directions. Fictional mercator projections from Don't Forget to Ask for Directions. Poster. Working elevator, between two floors. Digital printing on paper mounted to plywood box built into elevator. Shelf laminated with digital prints, fictional product boxes (digitally printed, hand made) and, "navigation" objects" (machined aluminum + digital print on laser cut plexi). Screen printed silk curtains, fluorescent light. ALWAYS IN A HURRY. NEVER GETS LOST. Illustration using images used to create show (at Southern Exposure). Cleaner looking than in real life, below with the blue side of the folding screen visible. North and East walls, floor "floaters". West wall (above) and west wing (below).